Caption slip reads: :Photographer: Lapp. Date: 1953-12-03. Reporter: Tower. Assignment: Flying saucer camera, March Field Airbase. 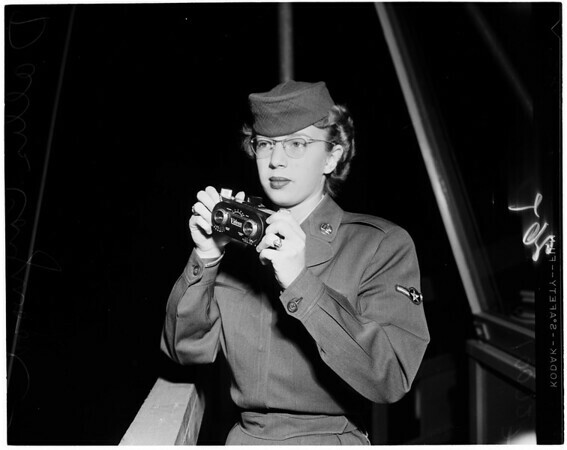 25-26: Dallis Caywood, airman 3rd Class with flying saucer camera. (For use Sunday or Monday)." EXM100720041EXMN10072004EXMN100720041March Air Force Base Calif.